The Original Harlem Globetrotters are preparing for their action packed 2018 tour! A star-studded roster will have fans on the edge of their seats to witness the ball handling wizardry, basketball artistry and one-of-a-kind family entertainment that thrills fans of all ages. 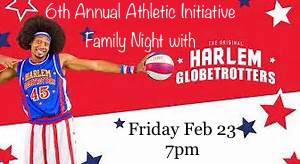 Join Globetrotter stars after the game where they will stay for an autograph, photograph and high five session for fans (subject to availability). Tickets will not be mailed. They will be delivered to IA and/or available for pick up two days prior to the event. 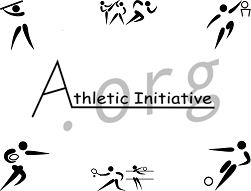 100% Cotton White shirt with black Athletic Initiative logo on front.